BenQ intends to make a splash in the emerging ULV (Ultra-Low Voltage) notebook market by churning out a couple of models for everyday use – where they are the 3.5-pound 13.3” Joybook S35 and 4.6-pound 14” Joybook S43. Both of these notebooks will run on Intel’s latest ULV processors, and will target the mobile businessperson and Internet enthusiast who cannot live without being connected every single day. Guess that just about qualifies everyone on the working world, after all, don’t we all always have to sift through tons of email and work whenever we’re back from our much deserved holiday or sabbatical? Let’s see what these Joybooks have to offer after the jump. 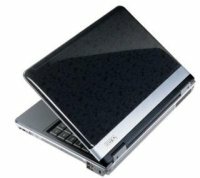 These new Joybooks will offer Wi-Fi connectivity – an essential tool in any self-respecting portable device these days, while you can also take advantage of high speed data transfer thanks to the eSATA port, going one up against notebooks that rely on just USB 2.0 ports when it comes to portable hard drives. Apart from that, BenQ ensures you won’t run out of steam halfway through your work with an extra-long battery life that clocks up 11 hours on the S35 thanks to its optional 8-cell battery. As for those who do not want to upgrade their battery, the standard 4-cell version will last 5.5 hours, with the S43 going on for nearly 5 hours on its standard 6-cell battery. Apart from that, features include an HDMI port, a 2-channel TruSurround HD system, a 500GB hard drive and an UltraVivid LED display at 16:9 aspect ratio. The S43 will boast the addition of a dedicated GPU and an 8X Super-Multi DVD drive. Other features include built-in 10/100/1000 Ethernet, a webcam for video calls, a trio of USB 2.0 ports, an RJ-45 port with the option to top up a Bluetooth 2.1 adapter if you so require. No idea on pricing, but they ought to be available from the end of last month onwards.